Many babysitting services charge their clients a substantial hourly rate and pay their nannies a low wage. At Nannies Who Care our professional nannies receive 100% of the hourly rate listed below, which reflects the average wage for professional nannies in this area. Our nannies are well compensated which enables us to attract the best and most qualified nannies. Do you feel comfortable with somebody caring for your children being paid $9/hr when the average rate a nanny charges is $13/hr and up? This is what sitting services pay their nannies while charging you $16/hr plus transportation charges. We use only professional nannies. Most of your fee goes to the nanny to ensure the very best nannies. We never take a portion of the nanny’s salary. The hourly rate paid goes directly to her. 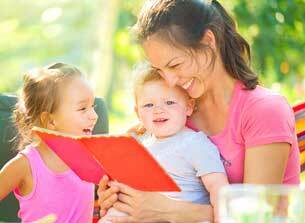 Nannies Who Care is happy to fill last minute requests whenever possible. A Last minute request is a request that is within 24 hours of the nanny’s arrival. There is an additional $10 charge for last minute requests and an additional $10 charge for holiday request. There is a cancellation fee of $50 if canceled within 24 hours of scheduled start time.